Lightly brush or spray muffin tin with olive oil. Stuff 1 tortilla shell in each muffin cup. Layer beans, chicken, and cheese (approx. 1 heaping T. each) in each tortilla. Fold up all tortillas until all of the shells are inside the muffin tin and pinch closed at the top. Bake at 350 for 10-15 min. or until lightly brown. 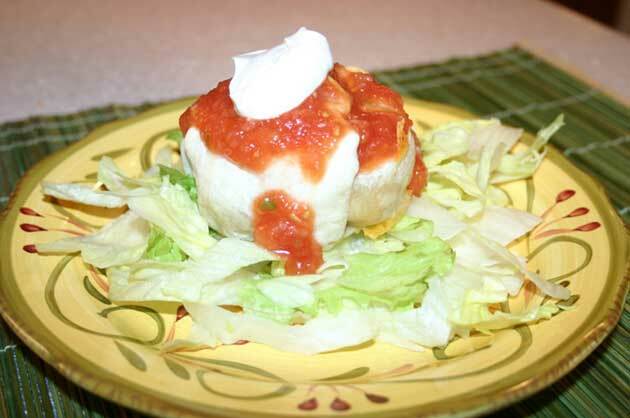 Serve with lettuce, sour cream, and salsa.